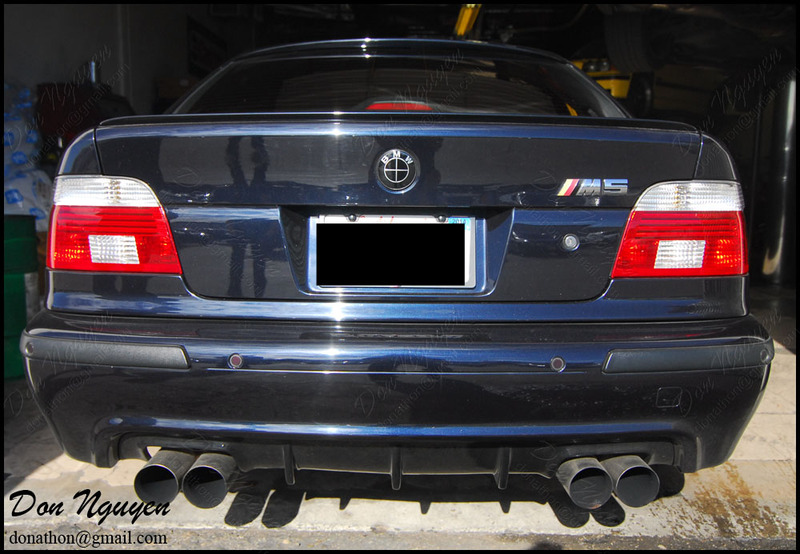 I always do enjoy having modified cars come by to have work done on their cars. 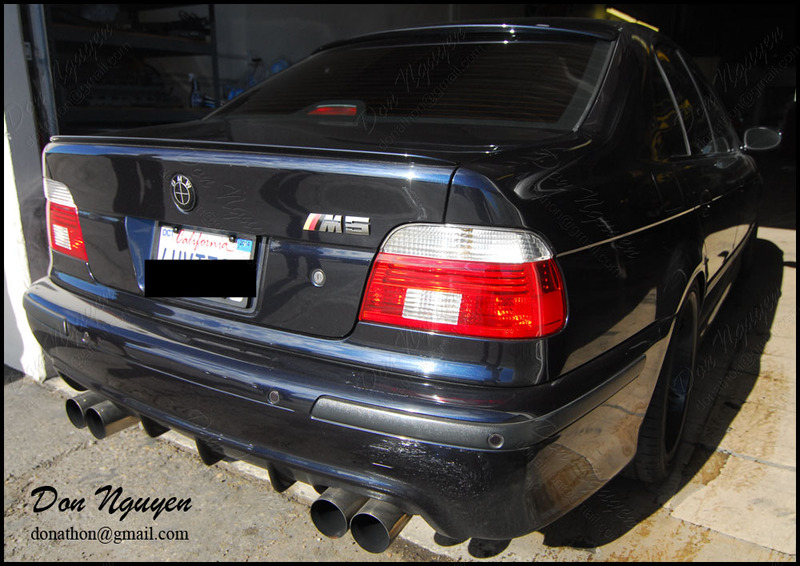 The owner of this carbon black BMW E39 M5 came by to have me apply my light tint material to his whole tail light. This is the same material/shade that you see me using in all of my previous pictures of tinted tail lights. It may appear slightly lighter on this specific car, but that's because on darker colored cars (IE black, dark grey, etc) the contrast between the tint shade and the car is not as big, so it'll appear lighter than it does on lighter colored cars (IE white, silver, etc). He drove out to me in Anaheim Hills/Orange County to have the vinyl work done.